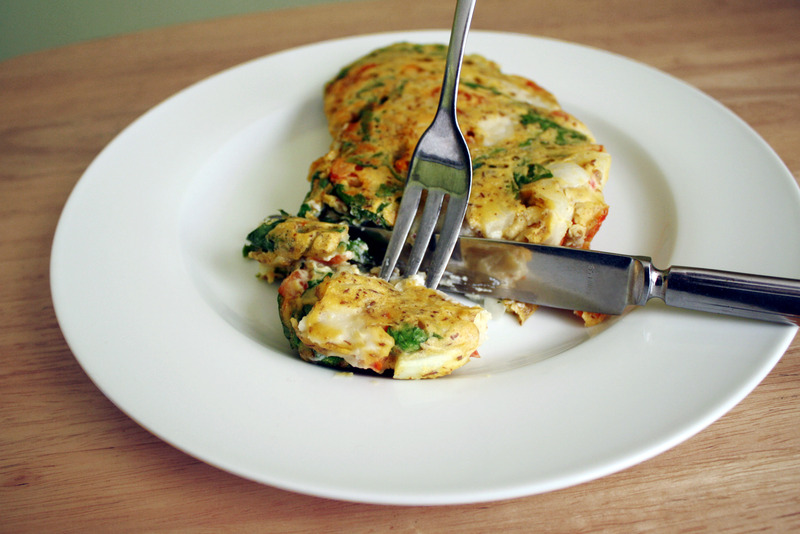 Chickpea Flour Omelette with Tomato, Basil, and "Mozzarella"
This particular chickpea flour concoction is inspired by an omelet I loved at a diner my mom and I used to go to all the time when I was younger. The diner’s still there but I don’t go anymore, because they don’t have much veg-friendly fare. Luckily, my vegan version is even better in my (not so humble) opinion. When cooking, I’d advise using a non-stick skillet or pan. Otherwise, the chickpea flour mixture will stick to the bottom, and you’ll have to soak it for a few hours. Whisk together the chickpea flour, water, ground flaxseed, extra virgin olive oil, sea salt, and nutritional yeast until the mixture is smooth. Stir in the tomato, basil, and onion. Then break apart whatever cheese you’re using into small fistfuls and add about 4 of those to the mixture. Grease the skillet, and add the chickpea omelette mixture to the middle of the pan. I like to lift the pan and tilt it from side to side so it spreads out in an even layer. Cook over medium heat until the batter is almost firm. Then flip over and go over the omelette with a spatula, pressing it down against the pan. Cook until the bottom begins to smoke (this indicates it is no longer wet). 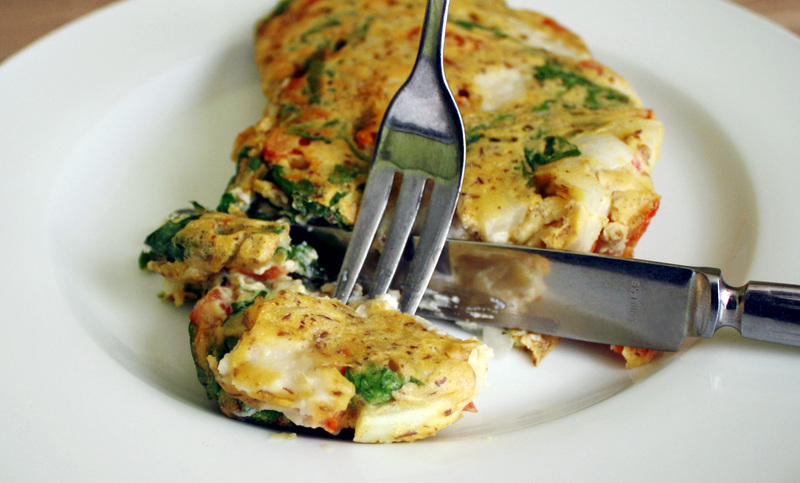 Chickpea Flour Omelet with Tomato, Basil, and "Mozzarella"
Grease the skillet, and add the chickpea omelette mixture. I like to lift the pan and tilt it from side to side so it spreads out in an even layer. Cook over medium heat until the batter is almost firm. Then flip over and go over the omelette with a spatula, pressing it down against the pan. Cook until the bottom begins to smoke (this indicates it is no longer wet).